Chris has been of service to his community since his youth. He contributed to the propagation of Philippine culture through dance and song, via his participation with the Philippine Folk Arts Society, of Pennsylvania. It is here where his love of his culture began to flourish. 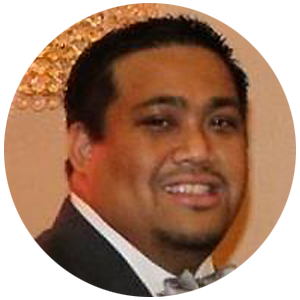 He has since actively participated in community organizations, including his service is a past Vice President of the Filipino Executive Council of Greater Philadelphia. He has served on its Board of Directors for the past two years. He is also the sitting President of the Filipino American Association of Philadelphia, Inc. (FAAPI), arguably the oldest FilAm organization on the East Coast, at 105 years old. FAAPI was the recipient of the 2nd Alex Esclamado Award for Civic Engagement. Within NaFFAA, Chris has served, or currently serves, at every level of the organization, beginning as a State Youth Chair for Pennsylvania, until his appointment as interim National Operations Officer this past summer. Chris is currently tasked to manage and support the internal functions of the organization. Professionally, although his background and education from Penn State University is in Developmental Psychology, he has dedicated more than a decade to the service industry, currently a manager for Darden Restaurants, a member of the Forbes Global 2000 list of top public companies. Chris was born in Oregon, but raised in Pennsylvania, his home since.